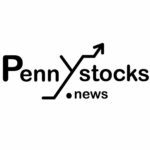 Roseville, CA., August 23, 2018 — InvestorsHub NewsWire — InnerScope Hearing Technologies Inc. (OTCQB: INND) announced today that it has resolved its lawsuit with Helix Hearing Care (California) Inc. (“Helix”) by both parties dismissing all claims against the other party with prejudice. Pursuant to the Settlement Agreement, InnerScope will receive cash and other undisclosed benefits. The settlement will allow the Company to recapture the deferred revenue that was reported on its balance sheet which will be reflected in its 3rd quarter financials. Additionally, the settlement terminates the Non-Compete covenant provisions for the Company and its Founder, CEO and CFO individually. With no contractual restrictions, InnerScope Hearing Technologies (the “Company”) has entered into a Letter of Intent to acquire 100% of LLC Value Hearing dba Value Hearing Aid Centers (“CAHV“). VHACs is a related party to the Company and currently operates 2 Northern California hearing aid retail locations. Once completed, the acquisition allows the Company to execute its plans to disrupt the current 5-billion-dollar in the U.S.,modelbrick and mortar hearing aid sales by offering factory direct pricing to consumers of its FDA-Registered hearing aid devices. In addition to acquiring VHAC’s two locations, InnerScope has begun to initiate its expansion plan for 4th quarter 2018. The build out plan consists of 3 new VHAC hearing aid retail locations in the greater Sacramento, California area, and will be staffed full–time with hearing healthcare professionals (“HCPs”). These 5 total stores with a combined marketing strategy could yield annual revenues of over $3,000,000 per year. This current brick and mortar hearing aid and delivery sales model is ultimately controlled by six major hearing aid manufactures in the world (soon to be five). This small number of hearing aid manufactures with virtually no competition or competitive market pressure for reducing their margins and especially, since over 95% of all the hearing aid devices sold by the HCPs are one these six global hearing aid manufactures, the consumer has no choice but to pay the high cost under this current traditional sales and delivery model. InnerScope has developed an alternative to the brick and mortar delivery model for consumers. By incorporating its Direct-To-Consumer hearing aid sales model into the HCPs traditional brick and mortar sales model, creating a new hybrid model. This new hybrid hearing aid retail sales model will be VHAC’s Unique Selling Proposition (“USP”), while not sacrificing HCP’s Bundled Services for the consumer. Consumers will have the ability to either choose from InnerScope’s FDA-Registered hearing aids at more affordable factory direct pricing for the same technology and features compared to current hearing aids from the six global manufactures, or the consumer could purchase hearing aids from one of the six global hearing aid manufactures at everyday value prices from Value Hearing Aid Center. “Branding for the InnerScope brand of hearing aids.” Mr. Moore concluded. increase its retail hearing aid locations will also brick and mortar chain of VHACs, will create a competitive edge against all other competitors in the retail hearing aid space. Additionally, InnerScope’s strategy of having a This deployment will not only give InnerScope a competitive advantage by capturing quick market share, but also by delivering on the USP of new locations,” said Matthew Moore, CEO of InnerScope. “This is nothing new for InnerScope management. For over 30 years in Northern California, management, has built, acquired, operated and sold a successful retail hearing aid chain of 40 locations. Therefore, it only made sense to start InnerScope’s brick and mortar expansion growth plan within the market in which we have proven success, generating revenues of eight figures annually before selling in 2016. We are excited to start our brick and mortar expansion growth plan with this acquisition and 3. InnerScope Hearing Technologies (INND) is a technology driven company with highly scalable B2B and B2C solutions. The Company plans on offering a B2B SaaS based Patient Management System (PMS) software program, designed to improve operations and communication with patients. INND also offers a Buying Group experience for audiology practice, enabling owners to lower product costs and increase their margins. INND will also compete in the DTC (Direct-to-Consumer) markets with its own line of “Hearable”, and “Wearable” Direct-to-Consumer Hearing Aids and Personal Sound Amplifier Products (PSAPs) and revolutionary APPs on the iOS and Android markets.